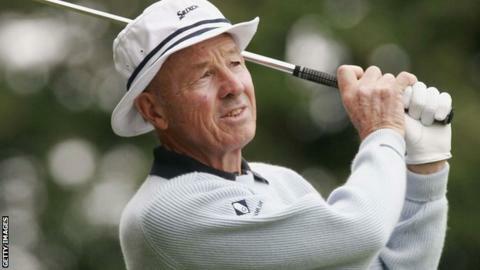 Former Ryder Cup golfer Tommy Horton has died at the age of 76. Horton, who lived in Jersey, played for Great Britain and Ireland in the 1975 and 1977 Ryder Cups - both of which were won by the United States. He also won four European Tour events and 23 events on the European Seniors Tour - topping its money list in 1993, 1996, 1997, 1998 and 1999. He was taken ill at the Royal Jersey Golf Club on Thursday and died shortly after in hospital. "Despite his success at the game's highest level Tommy was first and foremost a PGA professional, " PGA chief executive Robert Maxfield said. "He flew the flag for the association at every opportunity, especially during his year as captain. "The days when club professionals like Tommy could excel on the Tour are long gone but he never lived in the past and was always mindful of the game's future."